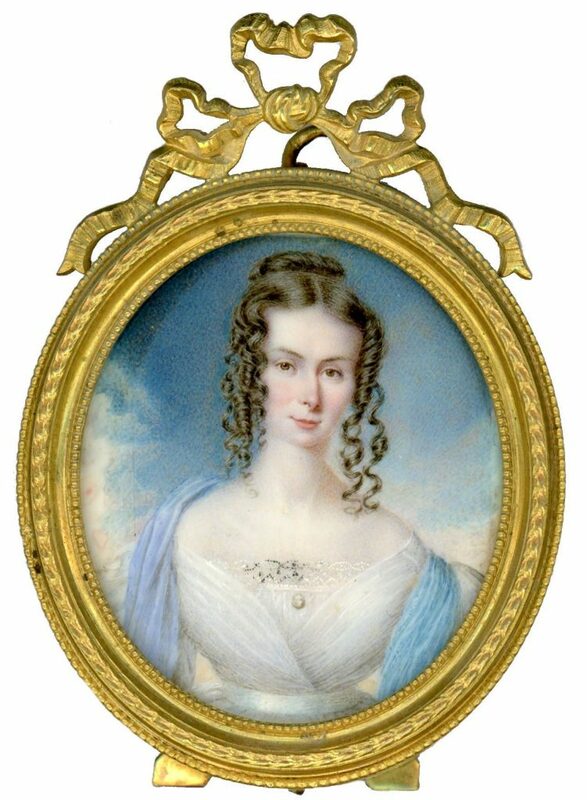 The wide shoulders and voluminous sleeves that were so fashionable on dresses during the 1830s really emphasised the tiny waistlines of young ladies, as in this portrait of Agnes Hey painted in 1836. Born in 1804, Agnes was the daughter of Thomas and Elizabeth Nixon and grew up in Nottingham. Following her marriage in 1829 to Richard Hey she moved to live at Minster Yard in York. Her husband was a well-respected surgeon working at York County Hospital, as well as the Institute for the Blind and the Female Penitentiary. 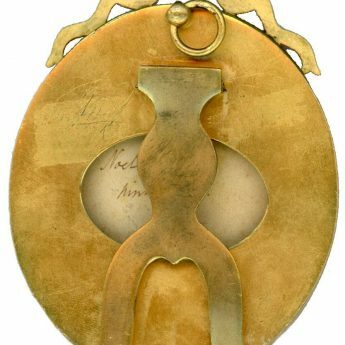 He was one of the original 300 fellows of the Royal College of Surgeons. Richard and Agnes had one daughter, Alice. 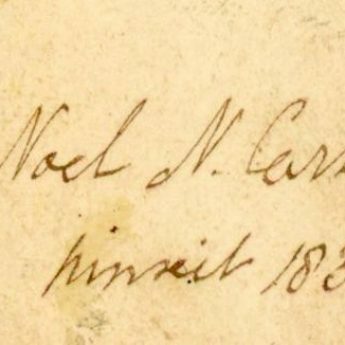 The portrait is signed on the verso ‘Noel N. Carter / pinxit 1836’. 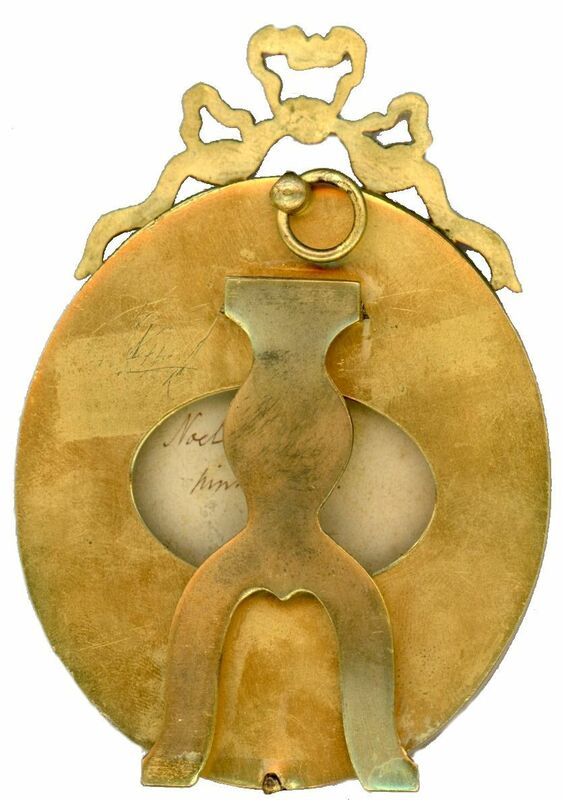 It resides in a decorative gilt metal frame with a ribbon surmount. The frame has a hanging ring and an easel stand for versatility. 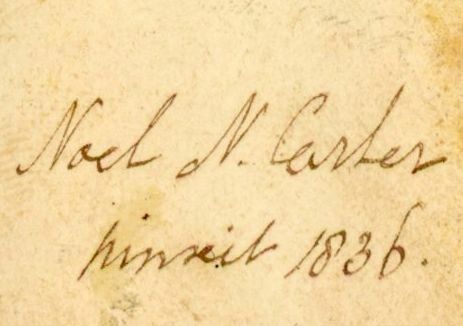 Noel Norton Carter (1799-1847) served in the 101st Regiment of Foot from the age of sixteen. Upon retirement he settled to live in York where he died after a lengthy illness.